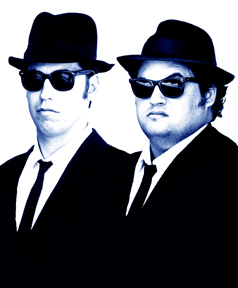 The Blues Brothers are an American blues and soul revivalist band founded in 1978 by comedians Dan Aykroyd and John Belushi as part of a musical sketch on Saturday Night Live. Belushi and Aykroyd, respectively in character as lead vocalist "Joliet" Jake Blues and harpist/vocalist Elwood Blues, fronted the band, which was composed of well-known and respected musicians. The band made its debut as the musical guest on the April 22, 1978, episode of Saturday Night Live. The band then began to take on a life beyond the confines of the television screen, releasing an album, Briefcase Full of Blues, in 1978, and then having a Hollywood film, The Blues Brothers, created around its characters in 1980. After the death of John Belushi in 1982, the Blues Brothers have continued to perform with a rotation of guest singers and other band members. The original band reformed in 1988 for a world tour and again in 1998 for a sequel to the film, Blues Brothers 2000. They will be arriving to the concert in the famed Blues Mobile which was featured in their Universal Pictures movie blockbuster "The Blues Brothers" and perform the exclusive live oceanside concert on Miami Beach. The special performance will feature the Blues Brothers and their nine piece all star band including a full horn section performing their greatest hits from the Atlantic Records multi-platinum album "Briefcase Full Of Blues." The Jake and Elwood Blues characters which will be performing at the Celebration of the Sea April 26th, 2008 Miami Beach Ocean Side Concert are the only Blues Brothers Tribute officially sanctioned by Dan Aykroyd and the John Belushi Estate. They make regular appearances at musical festivals worldwide and their recent live concert performances have been featured at NASCAR's Daytona 500, The House of Blues, The Capital One Half Time Show, The New York Stock Exchange and Universal Studios. 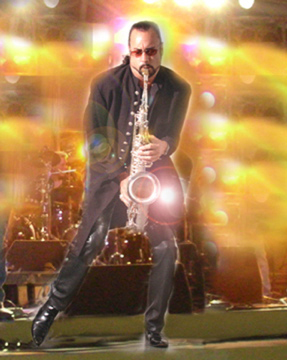 They perform for corporate events across the United States, Europe, Canada, and South America. After forming an alliance with the John Belushi estate, the show has been the #1 act at House Of Blues, Orlando, and have performed for over 5,000 corporations around the world! Judy attended Wheaton Central High school in Wheaton, Illinois, where she met and began dating John Belushi during her sophomore year. Judith and John were married on December 31, 1976 in Aspen, Colorado, U.S.. They remained married until John's death on March 5, 1982. She and John had moved to New York City in 1973 to work for National Lampoon, where she started out as an art assistant. She later became an associate producer for The National Lampoon Radio Hour. Judy made two uncredited cameo appearances in John's films National Lampoon's Animal House (as Bluto's dance partner at the toga party), and The Blues Brothers (as a waitress at the Holiday Inn restaurant). She also served as the primary cover designer on the first four Blues Brothers albums; Briefcase Full of Blues, The Blues Brothers Original Motion Picture Soundtrack, Made In America, and Best of the Blues Brothers. 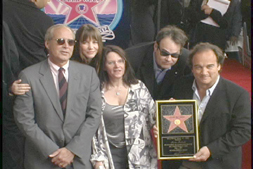 Judy is pictured above with Dan Aykroyd, Brother Jim Belushi and Chevy Chase during the ceremony for John Belushi receiving a Star on The Hollywood Walk of Fame. Alto Reed - "A Passion For The Blues"
players. Alto's mastery on a wide range of woodwinds, from soprano to bass saxophone and flutes, combined with a natural talent for percussion, guitar and keyboards has brought him recognition as one of the most versatile musicians of his kind in the industry. Supermodel Sabrina Pastor has graced virtually every major fashion magazine in the industry and has been featured on numerous magazine covers in the U.S. and internationally. Sabrina's resume includes multiple pictorials in the coveted Sports Illustrated Swimsuit Issue, Victoria's Secret Catalog, Cosmopolitan, Marie Clarie, Shape, Fitness, Glamour, In Fashion, Harpers Bazaar and Elle Magazine. She has illuminated the worlds' most prestigious runways including New York, Paris and Milan and recently hosted Miami Fashion week which was attended by some of the world's leading designers. She was featured in the hugely successful "Supermodels In The Rainforest" calendar, video and website and launched a television career when she recently became a cast member on the WE: Women's Entertainment series "Singles In South Beach." She also was recently personally selected to host the pilot TV Series "Latin Angels in Paradise" for famed Baywatch Creator and Producer Doug Schwartz. Sabrina speaks five languages fluently and is currently doing a wide variety of public appearances and Television hosting engagements. 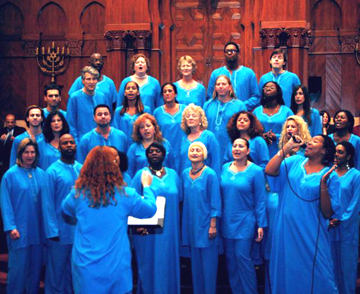 Recently chosen by The Miami New Times as the "Best Choir of 2007" the Unity Choir promises to bring additional magic to the evening's music. Unity on the Bay's music ministry says its mission is to "Heal, enlighten, and minister through music in order to inspire and transform our world." A very pious aim to be sure, but don't expect Gregorian chants with a hymn or two thrown in on holidays. Unity's choir members tithe ten hours a week to make Sunday church-going a joyous musical experience. That means gospel, but it also means R&B, hip-hop, and jazz — everything from Destiny's Child to U2 to Andrea Bocelli. s. For more information please contact Unity on the Bay located at 411 North East 21st Street, Miami 33137 by calling (305) 573-9191 or visiting their web site at www.unityonthebay.org.